Lisa Hoppe Travel Consulting has been providing travel services to thousands of satisfied clients since 1991. Our family-run company takes pride in our commitment to our travel clients and their needs. We love what we do and it shows. We are proud members of the American Society of Travel Agents (ASTA) and are Wisconsin’s first “Tahiti Specialist” agency. In addition, we hold destination specialist status with many countries of the world. amenities for value added vacations. From luxury to value vacations, our personal service and attention to detail will ensure a memorable trip. 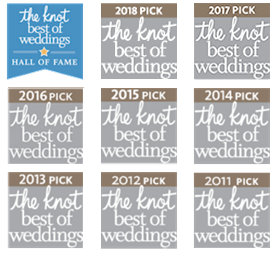 Hall of Fame (2014) – TheKnot.com – the only travel agency to ever achieve this award! Top Home-Based Travel Agency Award (2003) – Sandals Resorts – the first agency to earn this award! Click here to read our published article in “Premier Bride” magazine about the unique option of a river cruise for honeymooners! Click here to read the article about Lisa Hoppe Travel Consulting, written by the local Wauwatosa NOW paper! Click here to read the article about Lisa being named “The Face of Luxury Travel” (2014) by Milwaukee Magazine!